1. Plug into the cigar lighter socket to work, with ozone releasing, blue LED light is on. 2. After half an hour, revert to the cycle working mode, ozone releases 0.5min with a interval of 1 min. 3. High efficiency, energy saving, no special maintenance. and Ozone which may help reduce air contaminants such as odours,bacteria,dust and mould. 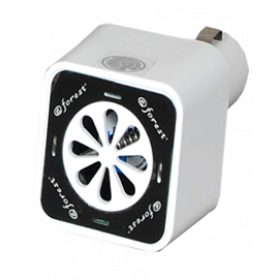 The car air purifier is maintenance free.